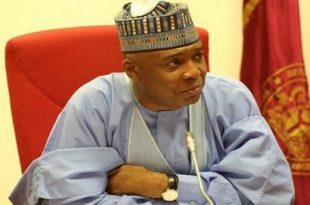 The President of the Senate, Dr Bukola Saraki, has lauded efforts by the United States (U.S.) to help Nigeria in the fight against terrorism. Dr Bukola Saraki,said the meeting was focused on security, humanitarian crisis in the North East. “Today’s meeting was held to discuss ways to improve the relationship between the U.S. and Nigeria, securing greater support in the fight against terrorism and for the humanitarian crisis in different parts of the country. “We also discussed improving agriculture in Nigeria and providing jobs for our people.